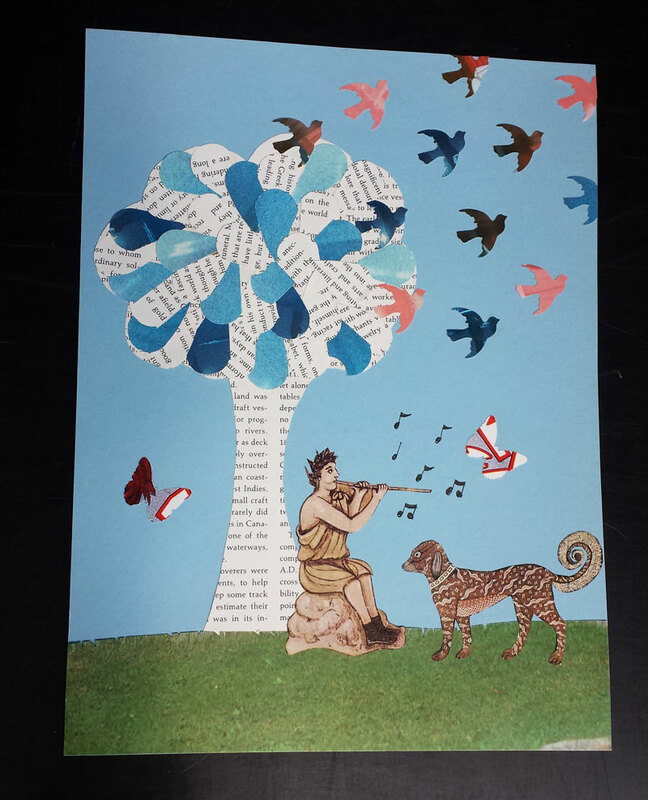 Congratulations to the winners of our 2018 UNBOUND Book Art & Craft Contest! 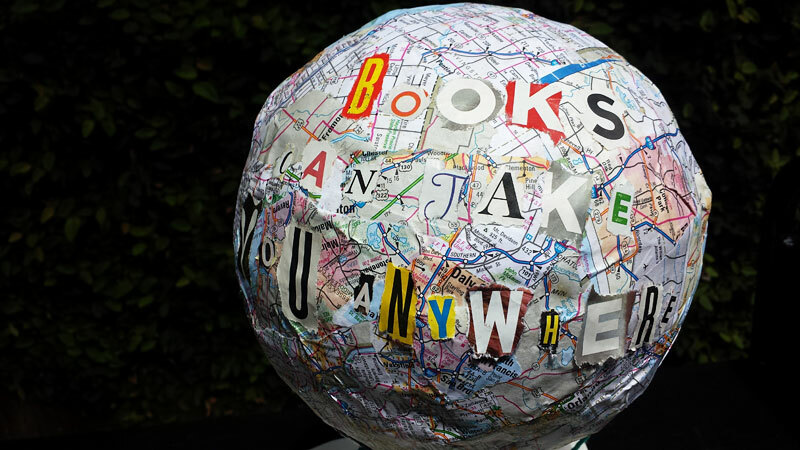 First place in the Kids’ division goes to Edain B., whose “Books Can Take You Anywhere” piece features a papier-mache hot air balloon lifting off from a book. 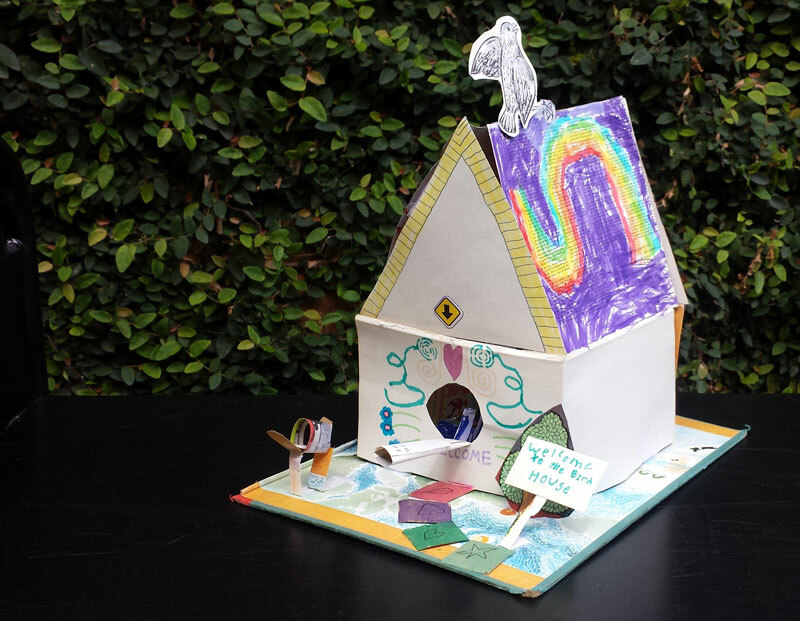 Charlotte P. captured second place in the Kids’ division with “Birdhouse for Birds,” complete with a tiny mailbox for bird-sized mail and a resident origami bird. 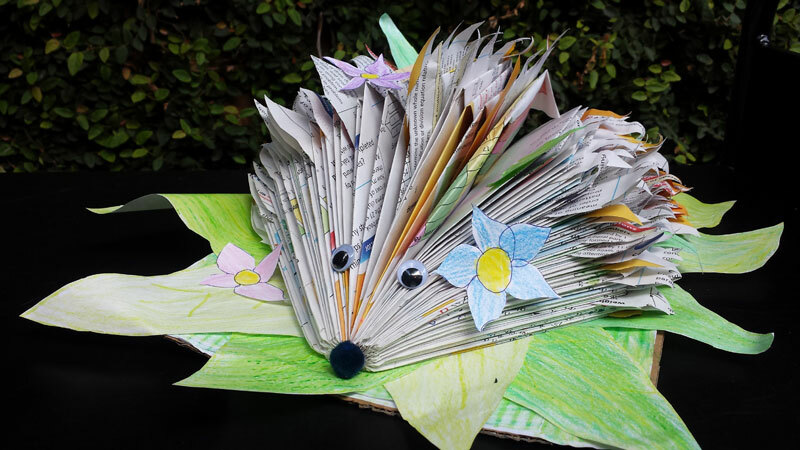 Third place in the Kids’ division went to Prathana P. and her “Spiky the Hedgehog,” who’s strolling in the spring grass after hibernating. 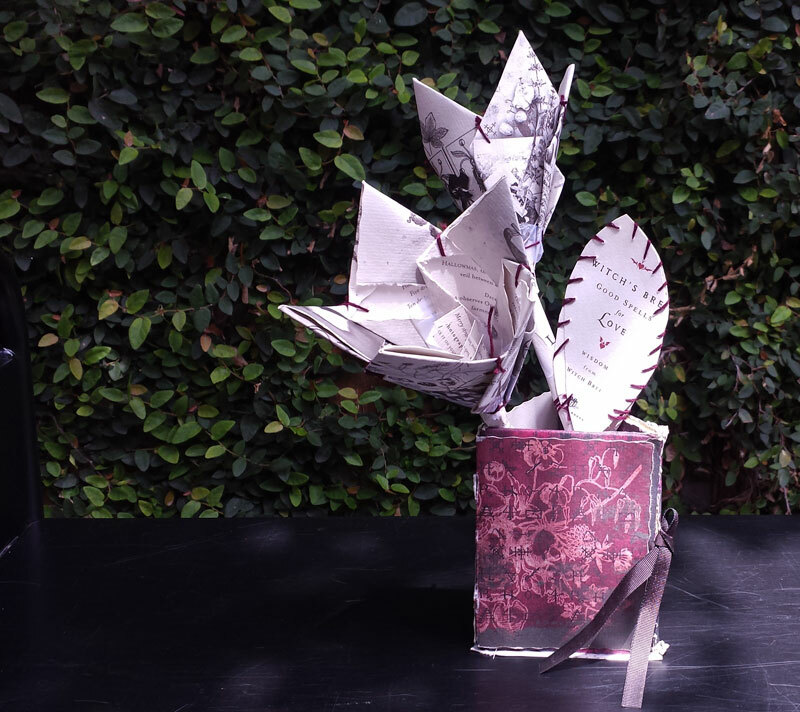 In the Adult division, Talia Dashow took first place with her “Flowers for Love,” made from a book of love spells. 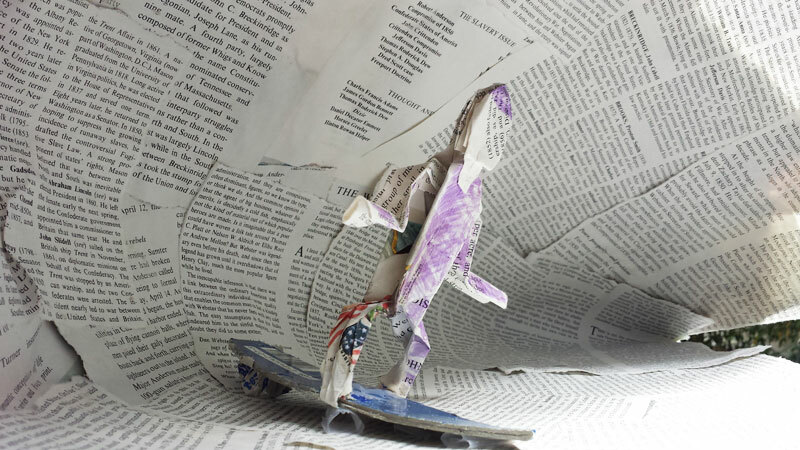 Last but not least, Anna P. took third place with “Wave of Words,” a surfer riding a book-cover surf board through a wave of pages. Thank you to everyone who entered and to our prize donors, Novel Brewing Company, MerryMakers, Out of Print and Chronicle Books!